I think this is my first fail post. I decided to try making a Sugar Pie for "S" week and it was an utter failure. Maybe I shouldn't have bothered after reading that Jackie Baisa herself had some failures making this. She made it sound worth it and even posted the recipe that worked for her on her blog. I always enjoy a good challenge, but it's more fun when the challenge doesn't fail. The recipe is surprisingly simple, it's only 5 ingredients plus a pie shell. How hard can it be right? The only difference in the ingredients were that I used light brown sugar rather than dark brown sugar and Grade A syrup instead of Grade B. I'm not sure that would have made any difference. I also used a deep dish pie crust and I don't think it should be though I doubt that was the reason for the failure either. 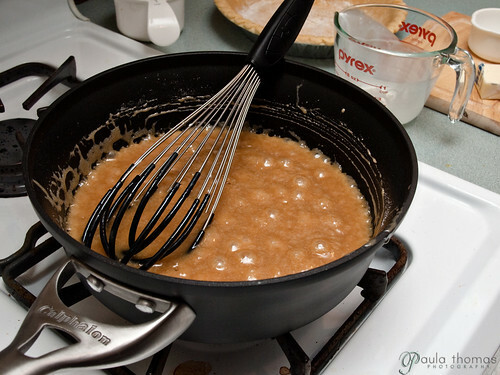 In a heavy saucepan, bring the syrup and butter to a boil, whisking constantly. Whisk in the cream and slowly add the sugar and flour, whisking constantly. Keep whisking and bring to a boil. Lower heat slightly so that the mixture does not boil over, but continues to simmer. Stir and cook until mixture thickens substantially, about 10 minutes. I used a ready made deep dish pie crust but I don't recommend deep dish. 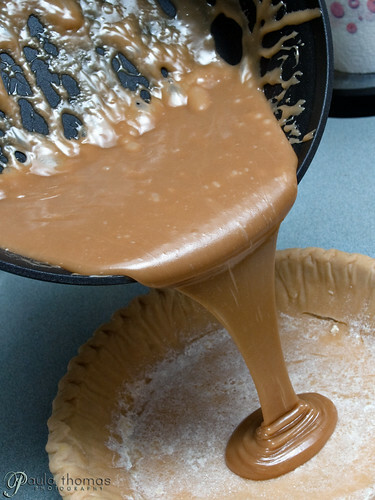 Pour the the thickened syrup filling into the pie shell. Bake for 30 minutes or until filling develops a dark brown crust on top. 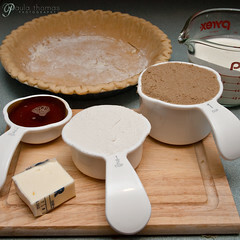 Remove pie and cool to room temperature before slicing. Serve with freshly made whipped cream. It actually looked much worse. There was a lot of liquid on top when I pulled it out of the oven which made it really hard to photograph. 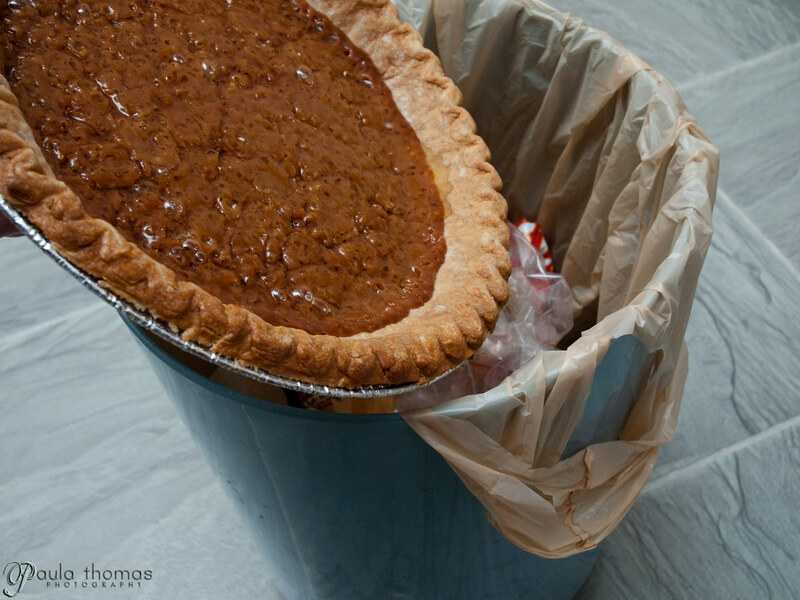 I think some of the liquid seeped back into the pie after I let it sit for a while. I will probably take a taste of it before I throw it in the garbage for real. I don't know why such an easy-sounding recipe is so difficult. :-( Sorry it didn't work for you!